Hi there! Welcome to another installment of HEAR THAT?, a review of fine audio fiction on the internet. I know there are any number of quality audio fiction podcasts out there, so if you happen across one that you think I might like then drop me a line and I’ll check it out. This time around we have two stories from two very different podcasts, not about heroes but about real people. CAST OF WONDERS #66 brings us “The Egg Game” by S.R. Algernon, read by Graeme Dunlop. S.R. Algernon began reading science fiction at an early age, and honed his writing in North Carolina. He currently resides in Singapore. Graeme hails from Australia, is the host of CAST OF WONDERS, and can be heard on many a fiction podcast. “The Egg Game” is the story of a family vacation at The Sun Spot, a resort just outside of Earth’s atmosphere and certainly not what the main character hoped when his parents agreed to a vacation in space. The character and his younger brother devise a game involving falling eggs in the variable-gravity lift tubes, and an elaborate point system that takes a wrong turn when matters go from boring to worse. I kept waiting for “something to happen”, but it didn’t take long to realize the joy of this story is the realistic portrayal of young teens looking for a bit of fun. The action comes in the form of the science behind their game, and the eventual solution to the sudden crisis. The main character is intelligent, likeable, and knows he’s definitely in for it if his parents ever find out what’s going on. This is a great story for pre-teen and teen readers who are just dipping their toes into the waters of good, short science fiction. Next we have PSEUDOPOD #319, “Cell Call” by Marc Laidlaw, read by George Cleveland. Marc is a writer, gamer, thinker, and game designer who currently works at Valve Software. George lives in Tamworth, New Hampshire, and serves as the Executive Director of the Gibson Center for Senior Services in North Conway. 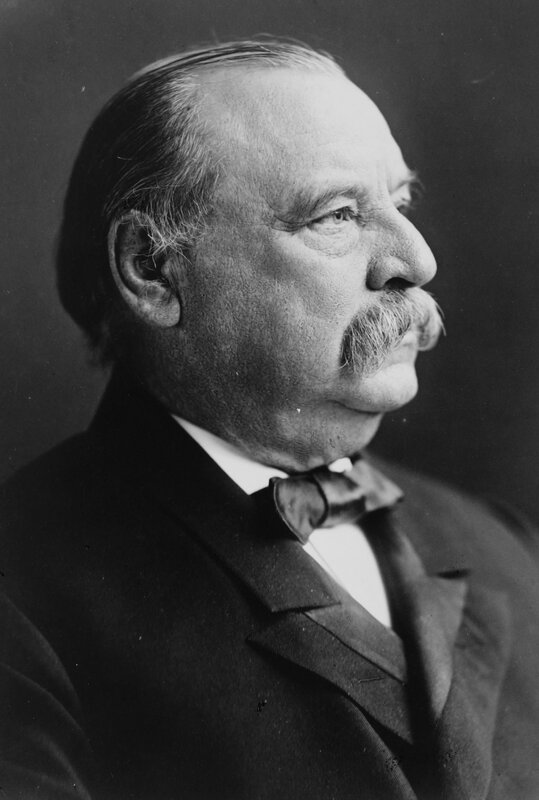 And as an added bonus, he is the grandson of President Grover Cleveland. “Cell Call” is the story of a man attempting to manage his new cell phone while finding his way home in the rain. Flustered by the phone, the weather, and his wife’s irritation, he misses his turn and ends up someplace unexpected. Here is a story about subtle terrors, the kind that curl around you when you think there is nothing wrong. Much like “The Egg Game”, the main character is not a hero, he’s just an ordinary guy who loves his wife, and Laidlaw’s understated use of setting and very realistic dialogue lent itself well to the chill down my spine as the story progressed. Definitely worth the listen. And that’s a wrap for this installemtn of HEAR THAT? Drop me a line and let me know what you thought. Did you agree with the recommendations? Think I was way off base? Even better, if you liked what you heard with these podcasts, post a comment on the forums for either podcast, or donate a few dollars to keep great fiction alive and well on the web. That’s all for now, gentle listeners. Until next time, kee your ears open! Hi there, and welcome back to HEAR THAT?, a quick review of some of the great audio fiction on the web. This time around we have offerings from Cast of Wonders and PodCastle. First we have a deliciously creepy tale, Cast of Wonders #41, Jake Walter’s “The Living Earth”. One thing I’ve noticed about YA is that it’s difficult to find good horror, not dark fantasy or dystopian fiction, but solid, creepy, horror that offers up shivers of fearful delight. Jake Walters recently returned from a three year tour in Romania as a member of the Peace Corps. With this story, he delivers on all counts, providing a YA tale that explores the first hints of a growing sexual awareness bound together with a healthy dose of the creeps. Graeme Dunlop’s narration brings life and an edgy realism to the story. Well done! Patricia Russo offers her take on one possible future with Podcastle #210, “Sittin’ Round The Stewpot”, the story of a young man’s coming of age, the generation gap, and the nature of dogs. With this story, Ms. Russo explores issues of gender, age, culture, and hope, spinning the tale of a young man struggling to understand what he saw on the other side of the river even as he fights against the confines of village life. The story is narrated by Cian Mac Mahon, a talented voice actor who’s Irish accent lends a misty reality to the story and the hopes yet to come. As always, I urge you to take a few minutes and indulge your ears in some great audio fiction. The writer’s write, and the narrators narrate, so the stories can be enjoyed. Drop me a line and let me know what you think, and stop by the podcast forums to share your thoughts on the work. And if you can, stop by the donate button to show your support for all the great fiction. Until next time, keep your ears open!